My 20s are almost over and the one thing I'm most proud of is the superlative I've garnered over the years. After going to more than 20 weddings for friends, being a bridesmaid over a dozen times, and literally working as a bridesmaid for strangers, if there's one thing I know about from being a close onlooker, it's marriage. Though I have yet to be a bride and am still donning that "always a bridesmaid" title, I have come to witness that the purpose and the need for marriage has significantly changed over the years. Back in the day, people didn't get married for love; they got married as a transaction between families, for goods, lands, or a title. But now that people do get married for love, things get more complicated. [post_ads]How do we define love? We don't. Love means a different thing to every single couple, and that's OK. But when it comes time to deciding if the person you're in love with is the person you want to marry, it's crucial to pick apart that love and see if it has the key elements that matter the most to you, so if you say "I do" to them, it means forever. After watching so many people get married, my views have changed on what those crucial elements of marriage are. 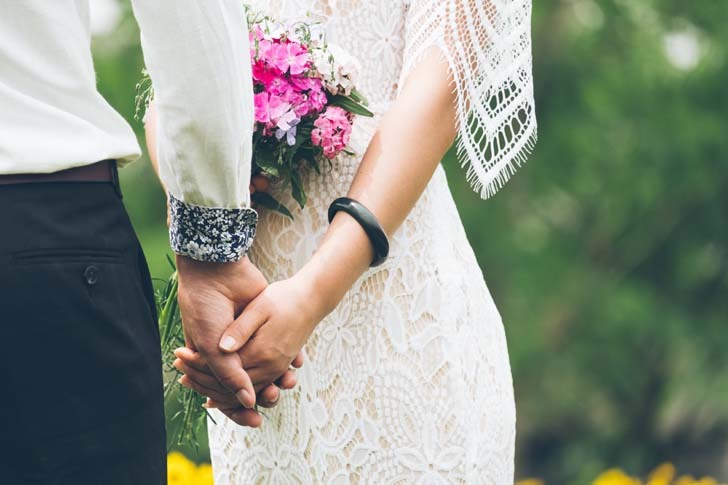 Since they are different for everyone, here are the top four things I need to feel 100 percent confident in with my partner before committing to a wedding and a lifetime as their wife. When I get married, I want it to be to a person I can be open and honest with about everything. I've seen couples get married that still couldn't talk about certain topics without getting heated. To me, marriage is deeply rooted in communication. Having a partner who will listen, who will bring up issues, and who will work together, with you, on problems rather than keep them inside is the number one thing that will drive a marriage forward and onward. I've learned to admit my flaws in relationships and understand that there are times I need to rely on my partner. I can be mess, especially when I'm stressed out over my to-do list or swamped with work tasks. Having a husband or a wife should mean you have someone who can be selfless and help you pick up your pieces when they explode all over the floor like a puzzle that just slipped out of a box. I don't want being married to feel like it's something boring and final. I want it to feel like an adventure. It's important to me that the person I marry becomes my ultimate adventure buddy. I want that person to be up for spontaneous dates, trips around the world, and learning new hobbies together. I want marriage to feel fun with a person who keeps me feeling fun a long the way too. Fighting for love has always been my number one quality in a relationship. Marriage, in my eyes, is a constant fight forward. It's two people who live life together, who have ups and downs together but always remember that being together trumps everything else. That, I believe, is the most crucial part of marriage and of keeping the love alive.